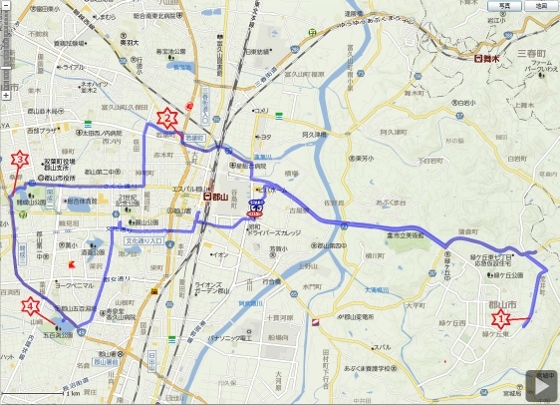 Today I pedaled around the center part of Koriyama City looking for cherry blossoms again. This time almost all the cherry trees were in full bloom. 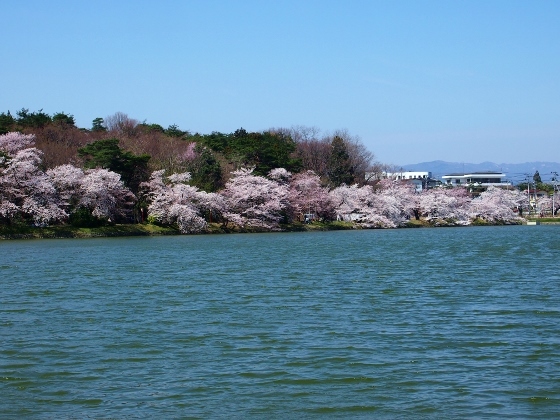 Below pictures of cherry blossoms were shown in the order of Kabokudanchi, Ouse River, Kaiseizan Park, and Gohyakubuchi Park. To my surprise all the cherry trees which had been only in less than 30% bloom two days ago were this time turned into full bloom. 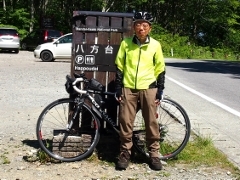 First one was Kabokudanchi at Midorigaoka area of Koriyama City. 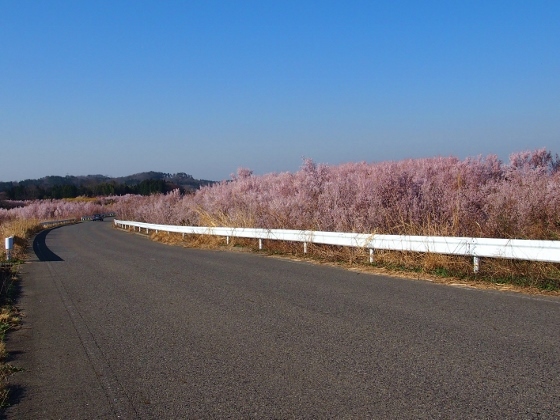 Kabokudanchi meant large garden fields for trees and flowers. 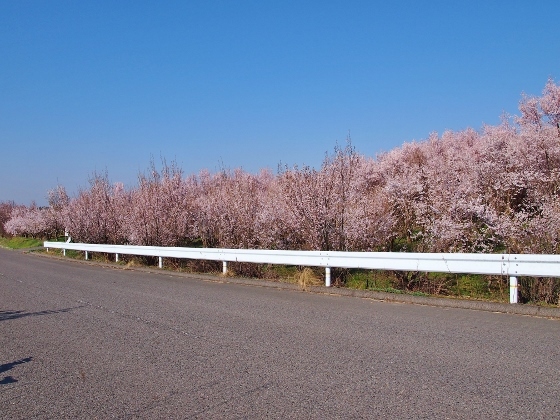 As shown in the pictures above there were walls of cherry trees on both sides of the road and they were spectacle. The location was asterisk 1 in the map. I could find walls of Magnolia Blossoms. 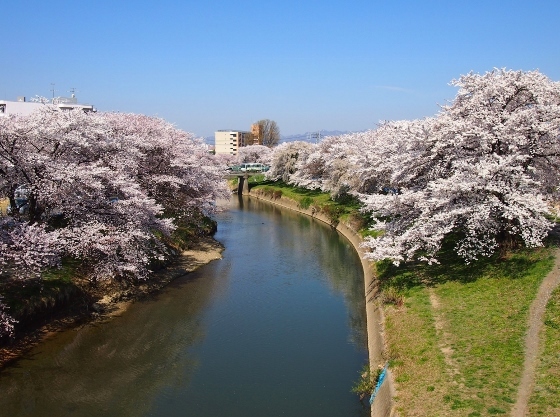 Next, cherry trees at both sides of Ouse River near JR Koriyama Station were shown above. I could see them from the bridge of National Route 4. The location was red asterisk 2 in the map. 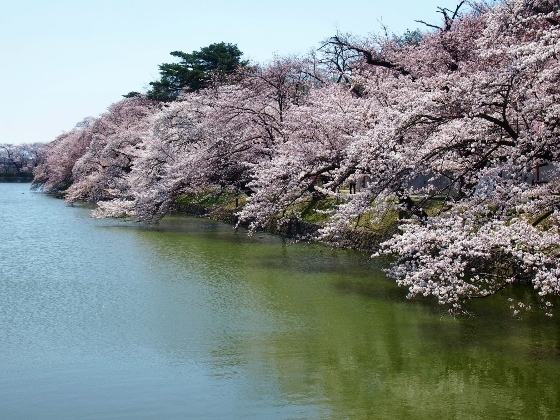 Above picture shows the view of cherry trees along the Ouse River. Next I visited Kaiseizan Park again. 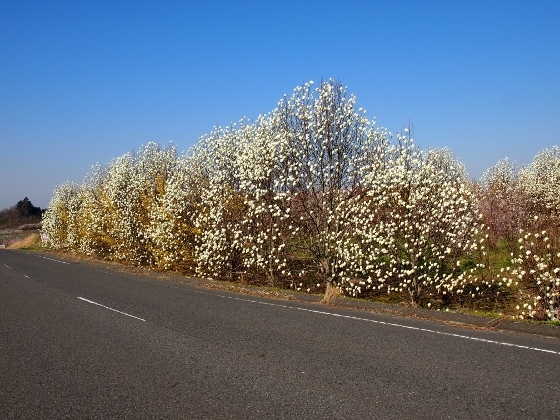 Two days ago, only few trees were in full bloom. 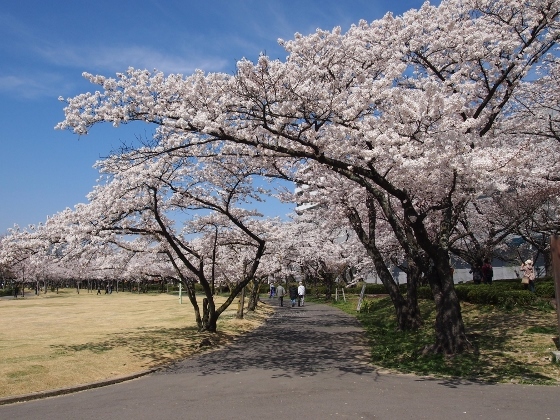 But this time to my surprise all the cherry trees turned into full bloom. The location was red asterisk 3 in the map. At last I visited Gohyakubuchi Park. 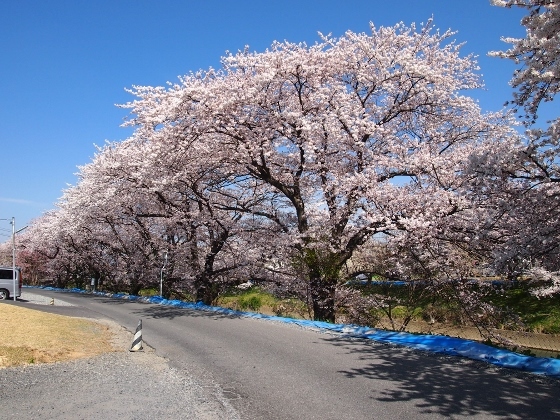 Above photos show the view of cherry trees which just became in full bloom. The location was red asterisk 4 in the map.